Last night we recorded our thirteenth episode of AggroChat. In various cultures the number thirteen can be either a positive or a negative, and going into the show I was not quite certain how that would shake out. Apparently for us however, thirteen is a very unlucky number. Last week Ash, Kodra and Tam were off hanging out together, and one of the activities was to build Kodra a brand new machine. All of this time we thought his intermittent problems were related to running on six year old hardware. Apparently whatever demons infested his previous machine have jumped ship and are now residing in the new one. We had trouble keeping him online and when he was online he seemed to have issues broadcasting. All of that aside I think we had a pretty good show last night. We talked about a hole bunch of topics including Tomb Raider and the fact that I maybe just maybe finally enjoy narrative gaming experiences. We also talk quite about about Thomas Was Alone and how that game manages to get the player emotionally attached to a red colored rectangle. We also talk about Rob Pardo leaving Blizzard and the potential effects, as well as the idea that no one person is really that responsible for anything in a game. Additionally we talk about the Divinity series of games, and how the publisher seems to be able to stick to just one genre. We did pure madness this time, due to some confusion on my part we ended up with five guests. As has been the case so many times… I added a game to my wish list in part as a way of tracking to see if it goes on sale… and then another friend comes along and griefs me by adding it to the pile of unplayed games. 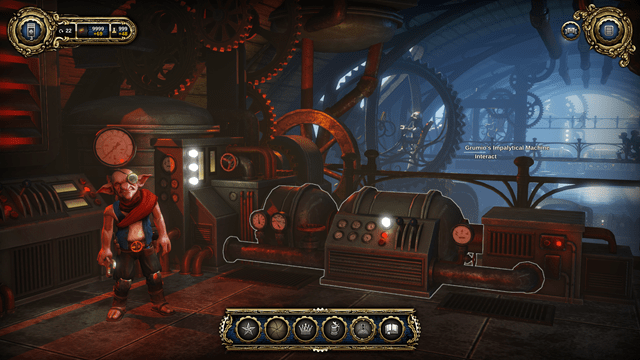 I say grief in the nicest possible sense of the word, because Ashgar has supported this thing I call Steampowered Sunday so many times in the past with an interesting game that he would like to see me play. This time around he ended up purchasing a four game pack and decided he would not play Dragon Commander for some time. As always I am extremely thankful of his generosity, and the fact that it pretty much determined what game I would be playing this week. I am still pretty new to the Divinity setting, but so far I have to say I love the universe that it is set in. 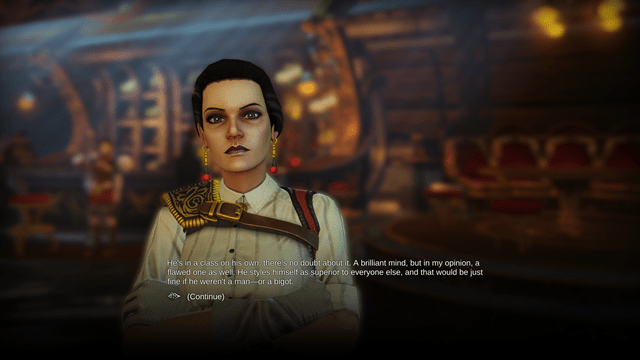 I am glad that I played my way through Divinity II this week, otherwise I would have been completely clueless playing this title. At face value this game is a rather pretty 4X title, and were it only for that the game would be forgettable. The game is extremely confused as at times it is a Civilization clone, other times an RTS like Starcraft, and other times yet a flight simulator. What makes the difference however is the narrative of the game and the lore of the franchise backing it up. As a result the game takes you on this deep quest to win the hearts and minds of a kingdom and at the same time defend it from your mad half dragon brothers and sisters. 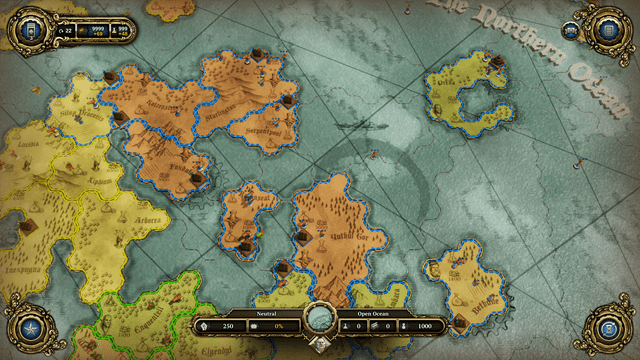 The game itself is set before the events of Divine Divinity, Beyond Divinity and Divinity II: Ego Draconis. As such you play out the events of your quest alongside Maxos the wizard that is spoken of in Divinity II in an attempt to liberate the world. The storyline centers around your command carrier the raven, a ship that holds many dark secrets… not the least of which is the fact that the ship itself is a bound demon. In order to power the infernal machine, Maxos has bound Corvus the Raven demon in a special chamber that eventually you can enter. The rest of your ship is made up of ambassadors from each of the races of the games setting, as well as a number of gifted generals that you can call upon to guide your troops in battle. 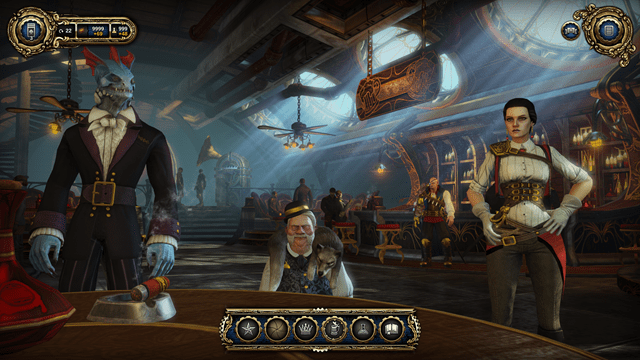 At various points these ambassadors will want to meet with you, an the above picture shows a three way discussion happening between the generals Edmund and Catherine and the Dwarven ambassador Falstaff Silvervein. On board your ship you have representatives of the Dwarves, Lizards, Elves, Undead and Imps… and each time you do something that benefits one faction you inevitably piss off two others. Like so many of these games it quickly becomes a juggling game to try and keep most of them happy in the process. Making the advisors of the various races happy seems to earn you cards that you can play that can turn the tide of a battle. These give you surprise troops, or a tactical advantage or even there is a card called “Genocide” that lowers the population of an area before attacking it. I’ve not actually used this one, but had the enemy play it on me multiple times and it can be rather devastating. Through the bridge of your ship you have access to the map view of your territory. From here you can assign one building per area be it a War Forge that allows you to build units, or one of many other buildings that gather some form of resource in a turn by turn basis. From here you try and gain a foothold against your siblings that you are locked in a land war to control as much of the Rivellon heartland as you can. Combat is resolved in one of three ways. You can pay one of your generals to lead your forces for you, giving you some tactical advantage in the process. You can let your army lead itself, which seems to only be advisable if you have an extremely superior tactical advantage, or you can take up the banner and lead your forces yourself. The limitation is that you can personally lead only one battle per turn, and similarly you can only have a single general lead your forces per turn as well. This means that you want to limit combat to as few volleys as you can per turn. When you choose to lead your own forces the game changes yet again. 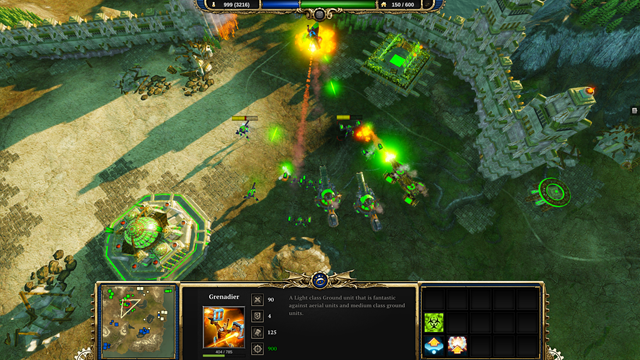 This time around you are presented a real-time strategy playing field where you conquer resources on the map and use them to churn out more troops to eventually overwhelm your opponent. The interesting thing about this mode is that I tend to leave it in reserve for battles where I do not have a very obvious superior tactical advantage. 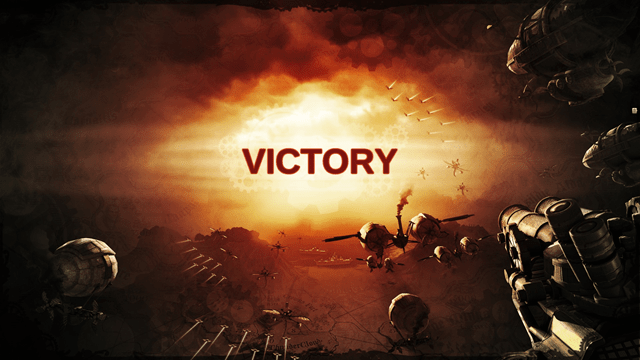 There have been fights that I came into the conflict with a single unit, but through the RTS game play get the best of my opponent and push forward with a victory. If this were not enough, you also have the ability to quite literally manifest yourself on the battlefield and take your dragon form to attack the enemy. When the map starts there is a counter in the center of the HUD counting down how long before you can take flight and join the fight as a dragon. When you do, you become a nearly unstoppable killing machine with a series of dragon powers that either hurt enemies or help your fighters. 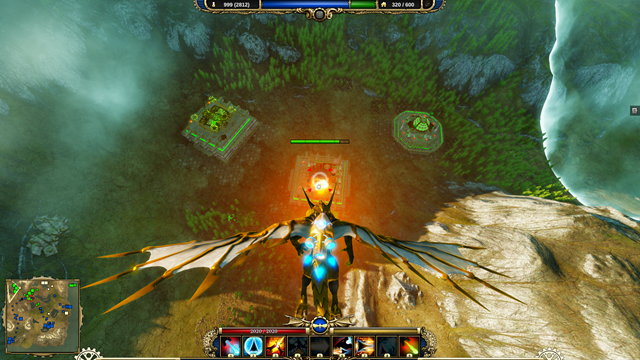 From the air you can wreak havoc on enemy buildings, or hover over your troops and heal them from above. To make things feel even cooler… you are a Dragon with a freaking jetpack. Personally as enjoyable as this mode is… I tend to try and RTS my way through combat as much as possible without taking to the skies. There are moments where you think that this game is ultimately four different games that they built, but couldn’t really decide on which one to finish. However each of these elements is integrated so well into the whole that it just feels natural. There are some really odd events that play out on board of your ship, and a number of conflicts that you will be called to resolve. Early on you are chosen to pick from one of four princesses paraded before you, and I opted to go for the one that seemed the “sweetest” which oddly enough… was the undead princess Ophelia. Moments after tying the knot she confides in you that she is wracked by a debilitating disease that will eventually eat her bones from the marrow outwards. There is no known cure, and her father the Undead Advisor forbids her to research any of the options as such things are considered to be heretical. However with your permission and the protection of your ship… there are a number of increasingly twisted things that you can do to resolve the issue. All of them with some pretty severe moral implications as you are tested to find out just how far you would go to save your bride. Similarly you have to deal with all manner of moral and ethical decisions as you engage with your crew. Some will attempt to bribe you to look the other way as various things happen. There is one specific event where an undead artist is revealed to have been a lesbian, and after her death the undead have taken to the streets trying to purge all of her art as heretical. 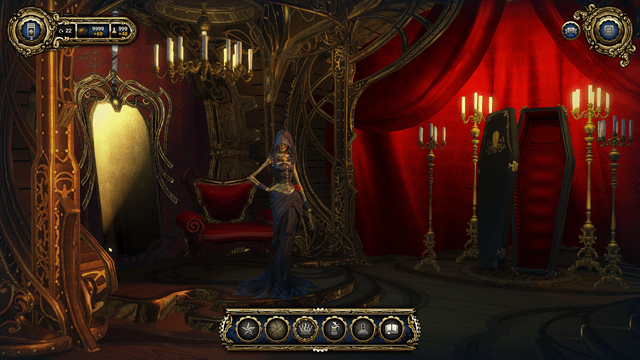 Do you step in and preserve her works, or do you let the course of undead society go unimpeded. Similarly there is a general who is by nature a very misandrist character. She comes to you telling you that she and the other female general are not making near as much as their male counterparts. Do you do the right thing and increase their pay, while at the same time angering all the males on your ship? 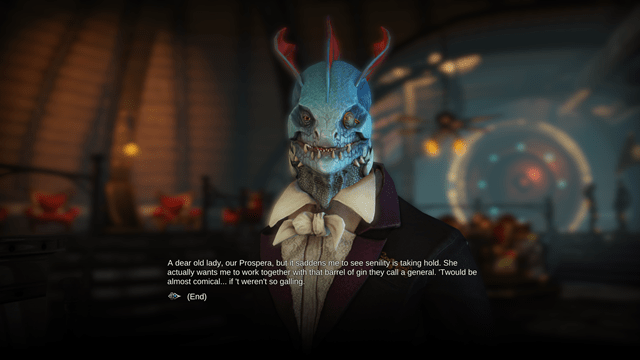 The game does not shy away from presenting issues pulled from our own times, including the ratification of gay marriage. All of which gives the setting and lore that much more of a living feel. 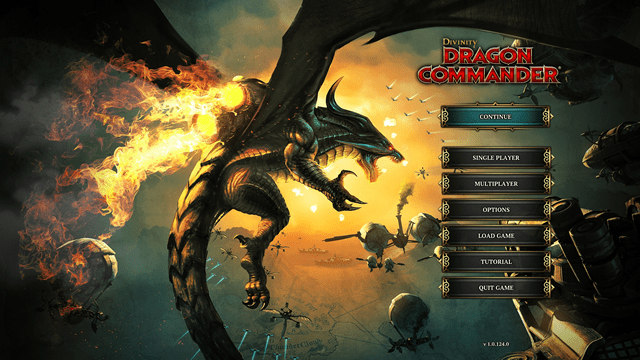 If you were to take apart all of the different games that make up Dragon Commander, you would end up with a passable but uninspired civilization clone, a passable but uninspired starcraft clone, a political intrigue and romance sim, and a dragon flight combat game. None of the parts is really that amazing on its own, but when combined together with the woven narrative of trying to save your kingdom from the hands of your insane siblings the game becomes extremely compelling. This is a truly ambitious title, and it is carried out with such charm that you tend to overlook the rough spots here and there. The hardest part honestly is the fact that the tutorial could use a bit of refinement. It took me a couple of games before I felt like I was getting the hang of it enough to survive for long. If you like Age of Wonders and Starcraft and have ever wanted to fly a dragon with jetpacks, I highly suggest you check this one out the next time it goes on sale over on steam. It has definitely managed to eat the better part of two days for me, and as soon as I finish with this post I plan on going back to the game and playing some more.